The fact that Facebook has more than 1 billion registered users doesn’t in any way suggest that there are more than 1 billion skilled users of social media tools worldwide. 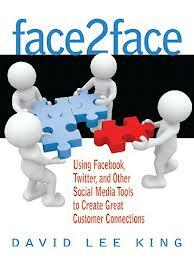 So a book like David Lee King’s face2face: Using Facebook, Twitter, and Other Social Media Tools to Create Great Customer Connections has the potential to upgrade the social skills—and social graces—of those still struggling to improve their online social interactions at the business level David targets…and at a personal level, too. David’s ability to communicate engagingly and well—a skill that attracts many of us to his presentations, his blogging, and to the work he does as Digital Services Director at the Topeka and Shawnee County Public Library—serves readers well in face2face as he dives right in with on-target advice. He starts by reminding us that we need to be human rather than standoffish and mechanical on the Web. We need to listen; respond professionally and as informally as we can to nurture the levels of interaction that accompany successful engagement via social media tools; and think strategically so that our use of videos, blog articles, and other online postings consistently lead us to productive and positive results. His honesty also helps us understand both the positive and the negative approaches into which so many of us fall in our use of social media. In telling the story of his online interactions with people at what he calls “the Snarky PR Agency”—omitting the company’s name because “they ended up being very professional”—he describes the agency’s initial spam that raised his ire; openly describes his own snarky online response (a tweet about how the agency “mass spammed me hoping I’d review a kids book. Obviously NEVER read my blog, so why would I read your book?”); and after leading us through the series of exchanges they had, notes that there was a positive result: “We ended up having a nice chat about small businesses discovering and using social media. The PR agency turned the conversation around from a negative one to a positive one” (pp. 130-136). None of this, however, would mean much if face2face didn’t work from a wonderful foundation: helping us understand how to create and nurture community connections that interweave onsite and online interactions rather than viewing them as unrelated activities. He reminds us that Tweetups—face to face meetings of individuals who originally met via Twitter—and numerous other onsite encounters mean that what starts in Twitter (or Facebook or Google+ or any other online setting) doesn’t need to stay in that setting; those of us who attend conferences and other professional gatherings are abundantly aware of how online interactions seamlessly extend into those face-to-face encounters just as relationships that begin face-to-face in conferences, workshops, and other settings become richer, deeper, and unbelievably sustainable through online extensions of those conversations. Which brings us to the playful foundation of David’s book—the understated yet implicit redefinition of our concepts of what the term face to face means in our onsite-online world. As we read through David’s sections on “business casual,” “where and how to begin,” “measuring success,” and “applying what we’ve learned,” we can’t help but see that effective use of the tools under discussion make us realize we can just as easily be face to face online as we can in the original sense of the term—when we’re onsite with someone. My own experiences with onsite and online learners convince me that we’re even struggling to have our language catch up with the evolving nature of our interactions in something as simple as defining the first time we meet someone.” Those who remain inexperienced or uncomfortable with online interactions still don’t think of themselves as having “met” someone until they have their first onsite face-to-face encounter. Yet the immediacy of interactions via Skype, Google+ Hangouts, Blackboard Collaborate learning sessions that are well facilitated, and numerous other tools more and more frequently find that the quality and depth of interactions in those settings help us understand that the definition of meeting someone is shifting subtly and inexorably as more and more of us become comfortable with the idea that we’re living and thriving in an onsite-online world. And works like face2face can only help to make that process smoother for anyone who takes the time to read and absorb all that it offers. Let’s use a blog posting for a bit of digital storytelling on the theme of digital storytelling—we’ll use words, pictures, links to videos, and a variety of other digital assets, but the heart of this is the story. It begins with the idea that if you take even the most shallow step into the fertile field of connected learning and rhizomatic learning, you’ll soon see it expanding all around you, as I did this morning while having coffee in Berkeley with a friend and exploring the topic of digital storytelling with her. We talked about how Dave Cormier’s rhizomatic learning model posits the existence of a wonderfully ever-expanding network of learning connections rooted in creation, collaboration, and the building of communities of learning—and that’s exactly what my library colleague Darcel Jones and I experienced during our coffee time together. Telling her about #etmooc—the Education Technology and Media MOOC (Massive Open Online Course) organized by University of Regina professor of educational technology and media Alec Couros and several “co-conspirators”—and mentioning that we were beginning to explore digital storytelling as the second of five #etmooc topics to be explored in the course inspired her to extend the learning rhizome by reminding me that digital storytelling combines two key elements of contemporary library work: storytelling and technology. The California-based library training organization Infopeople, she noted, actually produced an hour-long webinar on the topic—“Introduction to Digital Storytelling: Everyone Has a Story to Tell”—in 2011; that webinar, in turn, leads us to information about the Digital Story Station project in San Diego. It was only a small leap from that story to a major growth spurt in this personal learning rhizome, for the next link led me to Joe Lambert and the Center for Digital Story Telling—right there in Berkeley where Darcel and I had been having coffee. And that’s where the rhizome shot off in multiple directions simultaneously. There were case studies—stories—about how the Center partners with organizations worldwide. There was a link to a rich archive of beautifully-told digital stories on YouTube. And there was, via Joe Lambert’s bio, a lovely reminder that I had actually met Joe for the first time less than two weeks ago when we were both in Austin, Texas, for the New Media Consortium’s Future of Education summit—an event at which he did a brief presentation on the work of the Center for Digital Story Telling. Viewing the Center’s YouTube archives this afternoon sent me right back to the digital story Joe had shared with us in Austin: “The Gift of Nonviolence,” by LeRoy Moore. I was tremendously moved when Joe first played the video—the story of how a boy overcame parental abuse though a spontaneous act of nonviolence—for all of us that morning. I was even more moved by how the disparate elements of diving into #etmooc a few days ago, learning about rhizomatic learning over the weekend, talking to Darcel about libraries and digital storytelling this morning, and then beginning to compose this digital story that led me back to Joe this afternoon confirm the rhizomatic nature of learning and the wonders of the onsite-online world we inhabit. It’s clear those digital storytelling rhizomes are still multiplying almost faster than I can document. They led me to a first-rate EDUCAUSE article, “7 Things You Should Know About…Digital Storytelling,” that made me aware of yet another local storytelling resource: the KQED (PBS) Project VoiceScape initiative that encourages teens “to create compelling stories about issues and concerns important to them.” They also led to an article, “The Case for Digital Storytelling in Libraries,” that linked me to a video created by my colleague David Lee King, who had engaged in digital storytelling in 2010 by documenting innovations at the DOK Library Concept Center, in Delft. 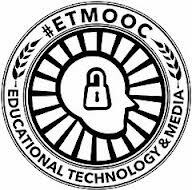 And, through the continuing work that #etmooc is doing in drawing me into a worldwide community of learning, I’m very much looking forward to hearing and continuing to share stories with the rhizome-like multiplication of learning connections in the days and weeks to come. N.B. : This is the fourth in a series of posts responding to the assignments and explorations fostered through #etmooc. It is a rhizomatic learning extension of a six-word story prepared for the #etmooc storytelling module (“Inspiration: From morning coffee, ideas flowed.”) and posted in the course Google+ community on February 4, 2013. It’s not often that we have the opportunity to produce learning objects as part of a learning opportunity, but that’s exactly what an engaged group of learners (library directors from the state of Virginia) achieved last week during the final two-hour session of the Library of Virginia’s two-day Directors’ Meeting in Richmond, Virginia that Maurice Coleman and I helped facilitate. By the end of our time together Friday morning, all of us not only had collaborated to create a blended (onsite-online) social learning center that had onsite participants seamlessly engaged with several online colleagues in discussions about the future of libraries and learning and learners, but we had also used the wisdom of the group to capture and produce a viewable record of the conversations that took place via Twitter by using Storify. How we achieved those results as a temporary community of learners drawn together and supported by Library of Virginia Continuing Education Consultant Cindy Church and her colleagues provides a wonderful example of social learning at its best and most creative. It also provides a wonderful case study of how any trainer-teacher-learner can promote and nurture what we’ve been calling the new Fourth Place in our world—social learning centers that can exist onsite, online, in onsite-online combinations, and even in unexpected places, 39,000 feet above the surface of the earth, when the conditions for social learning are in place. The creation of our onsite-online social learning center last Friday was a response to necessity: those library directors clearly needed something far different than what Maurice and I had planned to offer, so the two of us, after our Thursday afternoon sessions with them, completely threw out what we had prepared and, instead, spent Thursday evening contacting colleagues who are active and innovative users of social media tools in libraries and others settings. The results were spectacular, and improv was at the heart of much of what we accomplished. Our new plan for Friday morning was to take the existing meeting room space in the Library of Virginia there in Richmond and transform it into a setting where social learning could occur. We decided to begin with a Twitter feed (#lvadir12, for Library of Virginia Directors’ Meeting 2012) that would connect onsite participants to Bill Cushard, Buffy Hamilton, David Lee King, and Jill Hurst-Wahl so that our online colleagues, well-versed in social media tools and learning, could explore options with the onsite participants. That Twitter feed, aggregated via TweetDeck, was projected onto a screen in the front of the room; it was also visible to the many onsite participants who followed and contributed to it via their own mobile devices—a stunning example of how quickly we all are adapting the Bring Your Own Device movement into our workplaces and other venues. Maurice and I also, on the spur of the moment, decided to take advantage of onsite wireless access to connect onsite participants to our online partners via a Google+ Hangout—a plan that had to be abandoned when the wireless access proved to be inadequate for what we were trying to do. Even that disappointment, however, provided a useful learning experience: it helped everyone to not only see and understand the advantages and challenges of trying to incorporate social media tools into learning, but also to see how easy it is, in the moment, to change course and use what is available to produce effective learning in a social context. As Maurice himself observed, we learn as much from our failures as from our successes. Anyone reading the Storify transcript—it appears in reverse chronological order, so requires that we go to the final page of the document and work out way back up to the top to follow the flow of the exchanges—quickly obtains a sense of how dynamic this sort of learning can be. While there was an overall structure to the discussion, there was an equal amount of on-the-spot adjusting to themes that turned out to be important to the onsite and online learning partners. All of us were learning from each other—an achievement well-documented in that moment when we tweeted out a request for help in capturing the Twitter feed and immediately received Buffy’s suggestion that Storify would produce what we needed. There was also a clear focus on being engaged in something more than an ephemeral discussion to be forgotten as soon as it was finished. The final segment of the conversation produced commitments by the library directors themselves as to what they would do to apply lessons learned when they returned to their libraries. And in a wonderful moment of laying the foundations for the concrete results that the best learning opportunities can produce, one discussion group said “We commit that we will post on our listserv, within six weeks, one thing we have done from this session”—thereby assuring that this particular social learning center will remain in existence for at least six weeks after participants formally left the physical site to return home. If that sounds like a surefire way to demonstrate how social learning centers can produce tangible, sustainable results, then we all will have benefitted from the creation of this particular example as we look for ways to create and nurture our own. And we’re well prepared to further explore the concept of social learning centers as a new Fourth Place (after the first three places—home, work, and social settings where members of a community informally gather) in libraries or any other setting where learners gather in Intersections to enjoy each other’s company while learning from each other. Organizations looking to create a seamless and successful onsite-online presence need to remain true to their vision and values, play to their customers’ needs and desires, and foster a spirit of collaboration, attendees at the 2012 Texas Library Association conference were reminded during a session here in Houston yesterday. Offering guidance that could easily be applied far beyond their library audience, Topeka and Shawnee County Public Library Chief Executive Officer Gina Millsap and Digital Branch & Services Manager David Lee King talked about how designing a digital branch library is “everyone’s job”—an assertion that makes sense in any endeavor involving the creation of an online service that is consistent with an existing physical presence. Using their own library as a case study, Millsap and King noted that their efforts began with an obvious community need: they have a service area with a population of 177,000 and, by design, a single library building, so creating something that could more effectively reach larger numbers of people within that service area was an enticing challenge. Meeting that challenge in a way that remained true to the library’s mission and to the values of the community being served provided an additional foundation: “Ultimately, it’s about building relationships with people,” Millsap observed, so the digital library is designed to foster those relationships. Before hiring King to help with development of the digital library—which, among its offerings, includes access to ebooks, downloadable music, original content including blog postings created by staff, and integration of social media tools to engage key members of the community—the library established clear and measurable goals, including a commitment to offering services onsite and online, creating unique content on the web, and acknowledging that the digital library would, for some users, be their only branch library. That virtual organization, furthermore, was designed to provide exceptional customer service, be consistent with the library’s strategic plan, and deliver a key element of what the library offers by promoting librarians as information consultants. What those members find when they use the digital library is a focus on staff and important services; a strong commitment to reaching members where they are, i.e., on Facebook and on Twitter as well as on YouTube; and a team-based approach that makes the digital library with its social media sites work in engaging and interactive ways, King said. And they arrived at that success through “lots of talking with my peers, with administration” as well as plenty of brainstorming, followed by planning, King noted. Commitment by all staff members remains critically important, Millsap and King said. No one can opt out of involvement in the digital branch; the approach remains heavily team-based; participation is part of staff members’ formal job descriptions; and the organization deliberately hires people with a commitment to supporting the digital library. And if all of that sounds like a perfectly good roadmap for any organization wishing to better serve its constituents through a consistent blending of onsite and online operations, so much the better.